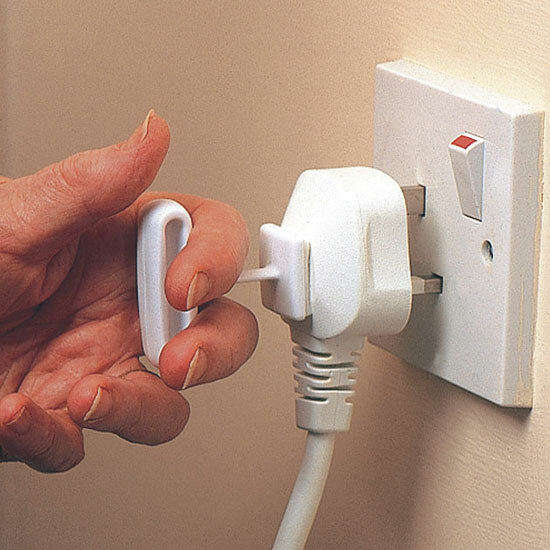 The Plug Pull is a self adhesive, plastic moulded T-piece that fixes to the back of a standard three pin plug, and provides leverage for removing the plug from the socket. The Plug Pull is a self adhesive, plastic moulded T-piece that fixes to the back of a standard three pin plug, and provides leverage for removing the plug from the socket. It is supplied in a pack of 3. They are also useful for drawers and doors where extra leverage is required.